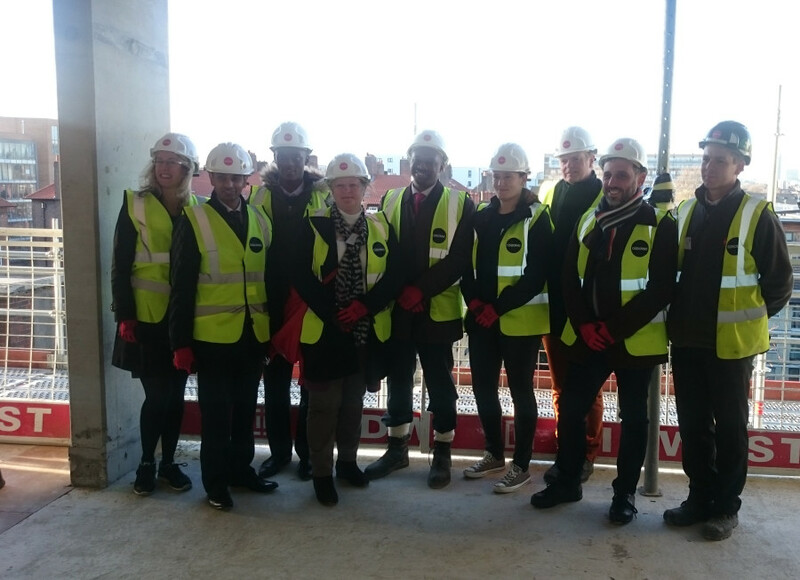 reForm Architects attended the topping out ceremony of our 18 unit social housing scheme at Avondale Square just off the Old Kent Road in Southwark, London. The main contractor Osborne, has been working on the site since February. Traditionally the topping out signifies the placement of the last structural beam, or the pouring of the last reinforced slab, and in this case it was the latter. The seven storey concrete frame consisting of a mixture of prefabricated concrete columns and in-situ concrete slabs has risen to its highest point. The £7 million project will not only create high quality, affordable homes for the local people, but will also provide local residents with a brand new community centre and estates office. 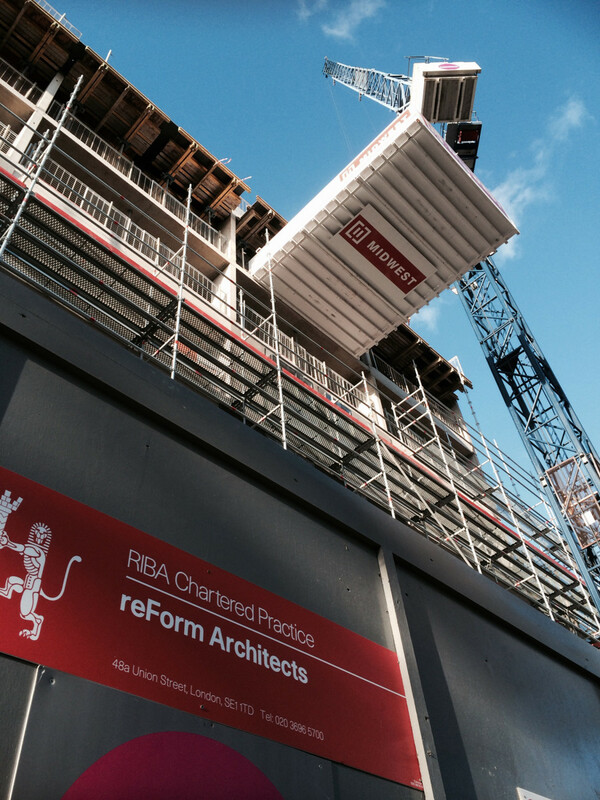 Following the ceremony, the reForm office was given a tour of the scheme and with the frame complete, the interlocking nature of the apartments are really taking shape. The outlines of the generous balconies were indicated by the recessed slab zones and living spaces could be visualised between the concrete columns. 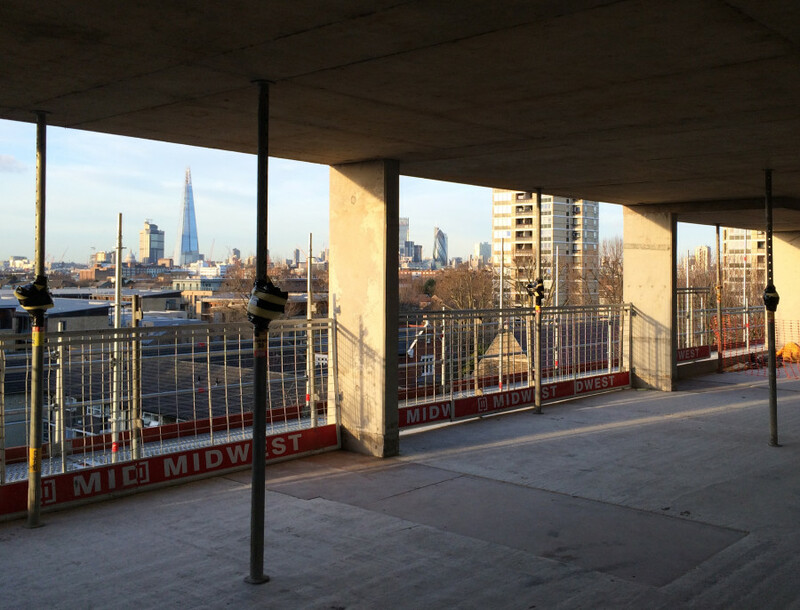 The complete frame also gave us an indication of its height and size, and as you can see from the photos below taken on the 5th floor, the views across central London will be fantastic.